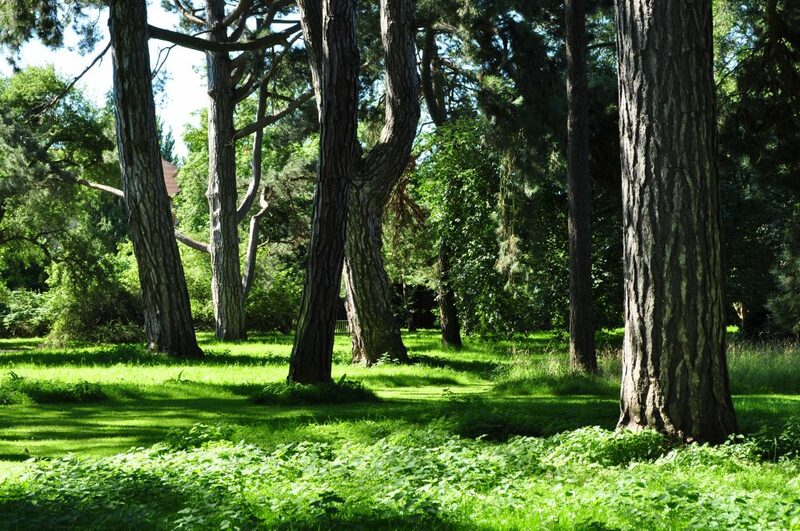 A mature collection of statuesque pines. 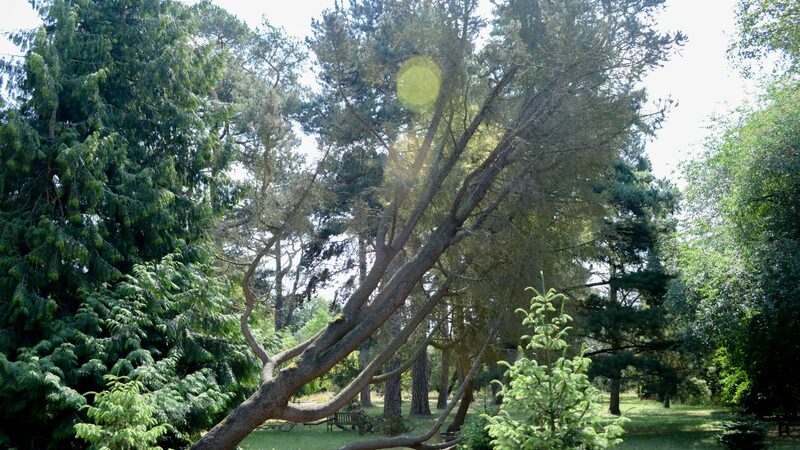 The Old Pinetum is home to some of the Garden’s most majestic trees, which date from the founding of the Garden in 1846. Here, towering forms of Pinus sylvatica (Scot’s pine) stand alongside Pinus monophylla (single-needled pine), Pinus armandii, and various subspecies of Pinus nigra (black, or Austrian, pine) to great effect. The plantings here look especially dramatic when lit by low winter sun, when the platelets of bark on their stems take on rich tones, while the cones of the differing species demonstrate the diversity within the pines. 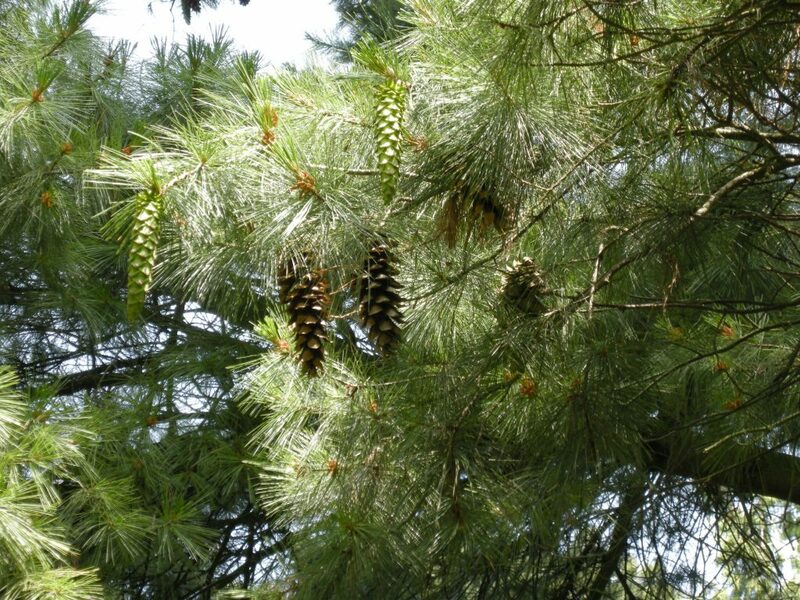 The champion Pinus x holfordiana has long needles and cones, while the developing cones of the Himalayan pine (Pinus wallichiana) have a waxy bloom and hang in banana-like bunches. A neighbouring monkey puzzle (Araucaria araucana) has a branchless stem at the top of which sits a crown of armoured leaves bearing rigid, spiny leaves and large cones.